Another baseball team has chosen to make the switch to sports field turf. The Arizona Diamondbacks will replace surface at Chase Stadium with sports field turf by Opening Day of the 2019 season. Team CEO and president Derrick Hall cited the challenge of growing real grass in a desert as a major factor in his decision. He also stated the new surface would provide a more consistent field for the team. This will improve overall game play in many ways. Luckily, you don’t need to be CEO of a major baseball franchise to get the same benefits from sports field turf. This material is also perfect for schools, parks, and even backyards. Our experts at Watersavers Turf will gladly supply you with the ideal products for your field as well. The fact that it’s hard to grow live grass in the desert merely is one reason the D-Backs have switched to synthetic grass. Hall also pointed out that synthetic grass offers “performance and health benefits” that made the new surface option the right choice for the team. On top of that, synthetic grass may allow fans to enjoy a higher degree of comfort at Chase Stadium. That’s because this new surface won’t need direct sunlight to stay in great shape all year long. In the past, the D-Backs have had to keep the stadium as open as possible to allow sunlight in. Even when they did, the impact it had on the love grass was minor. This will no longer be the case. It will now be possible to close the roof during the summer. This could attract even more fans to games. The players themselves will also get a more consistent surface on which to play. This specific style of turf is designed with baseball players in mind. It absorbs shocks to protect their knees, for starters. It also won’t divot. This means the D-Backs are less likely to slip when playing on it. Synthetic turf for stadiums is also good for the environment. After all, it takes a lot of water to keep a grass field in good shape. By switching to synthetic turf for stadiums, the D-Backs expect to reduce water usage by two million gallons. This will also reduce costs by 90 percent. It’s just another reason why many teams switch to synthetic turf for stadiums. This may even help the team’s brand. Surveys show that young consumers favor businesses that are socially responsible. There’s no reason to believe they wouldn’t feel the same about sports teams. Thus, they might feel more loyalty to a team that takes steps to conserve resources. The Diamondbacks are by no means the only team to embrace artificial field turf. Fourteen NFL teams already use artificial field turf at their stadiums. Artificial field turf is also popular at colleges. Again, that’s because it offers key benefits that live grass can’t. It keeps players safe throughout the season. It doesn’t require constant upkeep. On top of all that, it looks green and vibrant all year long. This is very useful at colleges, where teams need safe fields that aren’t costly but still impress fans. It’s also valuable in school districts that might lack the funding for sports programs. Instead of cutting programs, they can switch to a new field surface that saves them money each year. This allows schools to continue offering their students the chance to play. Of course, the more opportunities a student has to practice, the better the odds they’ll join the pro leagues in the future. It’s easy to see why the Diamondbacks made the switch to artificial sports grass. Are you also thinking of installing an artificial sports grass field? If so, stop by one of Watersavers Turf’s SF Bay Area locations. 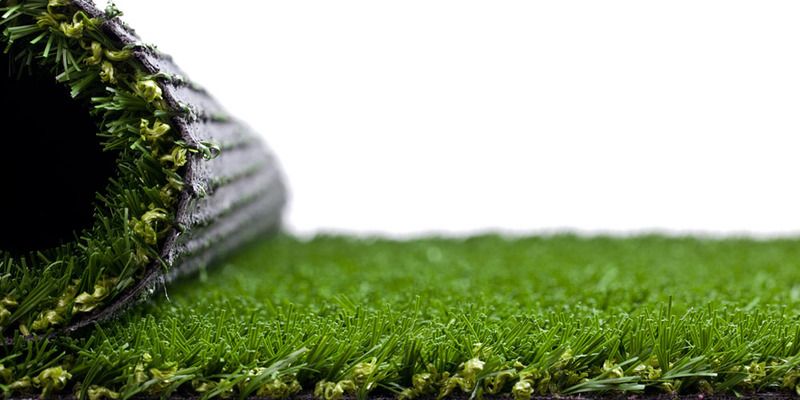 Our experts will gladly help you find the right style of artificial sports grass for your plans. We even offer free large 1’ x 1’ samples. They can give you a better sense of which style best suits your team’s needs. Don’t worry if you’re not from our area. We gladly ship our samples to any spot in the Continental United States. Feel free to give us a call at 844-974-8873 if you have any questions. We’re also happy to chat with you online. When speaking with us, be sure to ask about our free estimates and delivery offers!